The Supreme Court on Friday declined an appeal by the CBI challenging a 2005 Delhi High Court order quashing charges against UK-based Hinduja Brothers for alleged kickbacks in the purchase of 155 mm Howitzer Bofors guns. A bench of Chief Justice Ranjan Gogoi, Justice K.M. Joseph and Justice Hemant Gupta dismissed the appeal, questioning the investigating agency about the long delay of 13 years in challenging the High Court order. 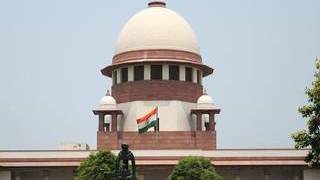 However, the court said the Central Bureau of Investigation could say “whatever” as it was a party to the challenge to the 2005 order by lawyer Ajay Agrawal. “We are not convinced with the grounds furnished by the petitioner for the inordinate delay of 4522 days in filing the present Special Leave Petitions”, the court said in its order. The court then disposed of the CBI petition and all pending applications. The CBI’s challenge to the High Court order came after 4,522 days. The CBI had moved the top court in February challenging the 2005 verdict discharging Britain-based Srichand, Gopichand and Prakash Hindujas in the case of alleged kickbacks in the purchase of Bofors artillery guns. The CBI cited some new facts that needed to be investigated as a ground for reopening the Bofors case. Before filing the appeal, Venugopal had told the government that it would face difficulty in justifying the delay. Later, Venugopal reportedly gave his oral consent to the agency’s move. The 2005 order discharging the Hinduja brothers was challenged by lawyer Agrawal, who is associated with the Bharatiya Janata Party.